Canyoning is the perfect summer adventure and often involves a variety of activities including swimming, wading, jumping into pools (‘water jumps’), abseiling through waterfalls, bushwalking and scrambling over rocks and boulders. The magnificence and unspoiled beauty of the canyons almost defies description. Carved over millions of years by the relentless action of running water, these geological treasures are found throughout the world. 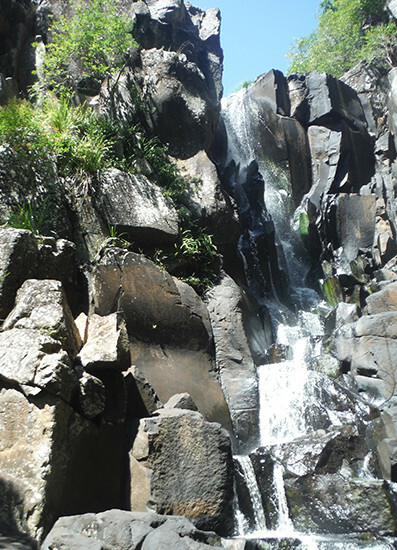 From Brisbane, we have a variety of Canyons in the Gold Coast hinterland and Sunshine Coast. We can arrange trips to the Blue Mountains for the most spectacular canyons in Australia. Weak swimmers can be provided with flotation devices (prior notice necessary). All participants are provided, dry bags, abseiling equipment, lunch, NPWS entry fee (if required) and full length wetsuits are included for all canyons. In Queensland wetsuits are not needed during summer. This day adventure commences with a safety briefing and training while we ready ourselves for great adventure. 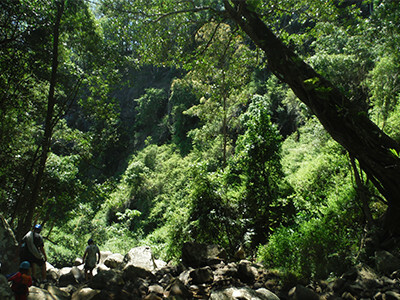 From our starting position, a short hike along the creek-line will have us at our first abseil location. 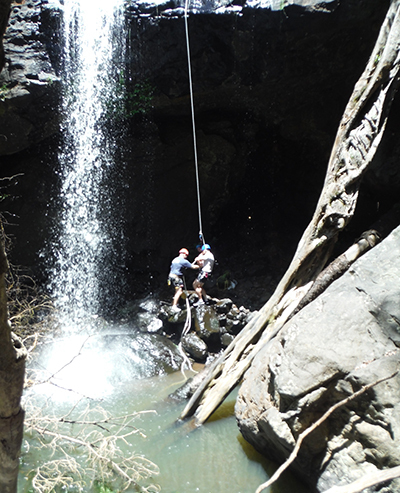 Continuing down the canyoning, we’ll arrive at the next obstacle, a small jump into a stunning, semi secluded rock pool. We will have lunch and a relaxing swim at this location before continuing through the canyon, I’m not going to spoil the adventure now though… At the end of the canyon we will hike back to Denham Reserve. This group consists of a minimum of 6 and maximum of 14 participants. No prior experience is essential but basic swimming skills are required. An age limit of 15 years old and must be accompanied by an adult. This long day adventure commences with a safety briefing and training while we ready ourselves for great day. From the starting location, it is a short hike down into gorge along the fire trails and through scrublands. Once we reach the creek-line, we go to our first abseil location. 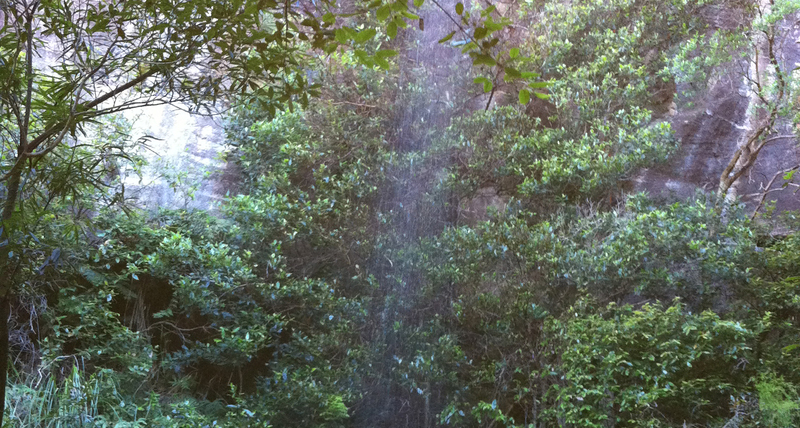 Making our way further down the canyon, we arrive at the 2nd & 3rd abseil locations which are pristine waterfalls. We don’t want to give too much away but this will be the most spectacular of your adventurous experiences in Queensland. Consisting of about 6km hiking through Subtropical and Eucalyptus forests. Lunch and snacks are provided. This group consists of a minimum of 8 and maximum of 14 participants. Excellent idea for leaders to gain an accurate picture of people’s character and ability to work as a team. Great experience and a fun Adventure. Get out there and get it done, don’t over think things and worry about the now. Fear is not real, however respect the fact that it exists and work with it. The Instructors are very approachable and explain every phase/stage of the activity. Great day out individual and team building.